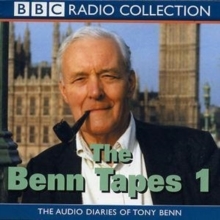 This is the first series of Labour MP Tony Benn's behind-the-scenes revelations from the highly acclaimed BBC Radio 4 series. 'The Observer' called it `Irresistible fly-on-the-wall history as it actually happens.' Late each night for over twenty-five years the Labour MP and former Secretary of State Tony Benn sat alone and dictated onto tape his account of the daily events at the heart of government. The immediacy, passion and mood is striking as he unburdens himself of the pressure and stress, trials and tribulations of government and opposition with accounts veering from anecdotal to almost confessional. Events recalled in the first of these unique and remarkable recordings - heard by the public for the very first time on Radio 4 - include Harold Wilson's surprise resignation in 1976; the potentially catastrophic 1977 strike at Windscale; the year-long miners' strike in 1984 and the general election in 1992.